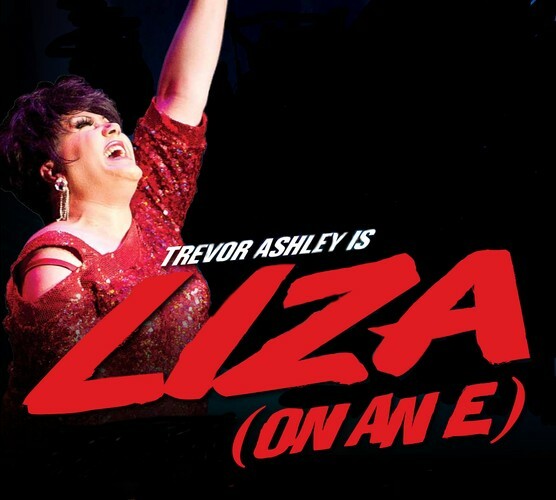 Multi-award-losing performer Trevor Ashley channels the superb talents of cabaret's most idiosyncratic superstar, Liza Minnelli, in the charismatic hit drag show Liza (On an E). You're invited to a wild and wicked audience with synthetic showbiz royalty. From her marriage to Australia's song-and-dance darling, Peter Allen, to her showbiz family and pill popping antics, Liza dishes the dirt on her extraordinary life like you've never seen her before. Witty banter is interspersed with all her greatest hits, including 'Cabaret', 'Maybe This Time' and 'New York, New York', accompanied by a seven-piece big band. This merciless impersonation by DIVA's 'Entertainer of the Year' will have you laughing, crying and screaming for more. So come taste the wine... come hear the band... but most of all don't miss the opportunity to see Ashley in a performance of pure star quality.